FareShare has been supporting Mullum Mullum Indigenous Gathering place in Ringwood for more than a decade with rescued food and pastries. 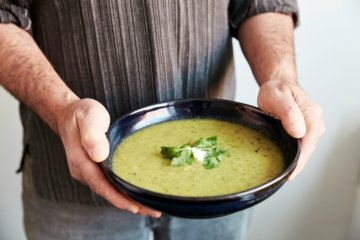 The community-controlled and managed foodbank exists for Indigenous community members, and non-Indigenous partners and carers living in Melbourne’s eastern suburbs. Every Wednesday people in need of support drop in to pick up food boxes arranged according to family size. Around a dozen volunteers pack the boxes which currently feed 52 families with as many as eight children. 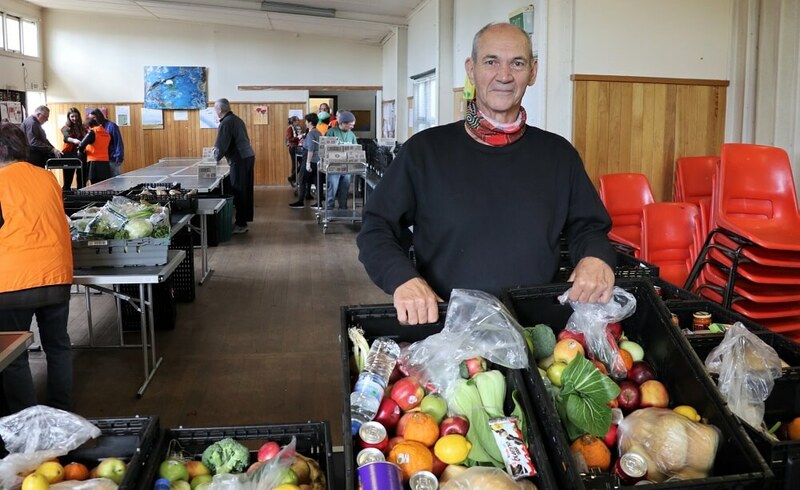 Chris Cosgriff, a long-time foodbank volunteer, says FareShare’s support means Mullum Mullum can help vulnerable community members who would otherwise go without. Frozen meals are in high demand among the Mullum Mullum community. Many of those receiving help are struggling with employment, health-related issues and family violence. Mullum Mullum is a thriving community hub with a Youth Group, Women’s Group, Men’s Group and Elders’ Group also operating from the centre providing social interaction and boosting confidence. Each Wednesday Foodbank Coordinator Jackie Harney prepares lunch for volunteers and elders. 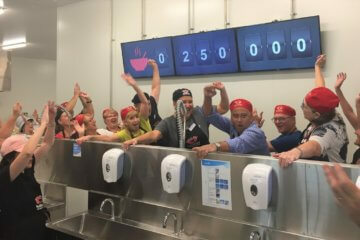 The Men’s group runs an Indigenous catering social enterprise serving dishes such as emu and crocodile sliders – ingredients FareShare is unlikely to rescue! We’re also proud to support Mullum Mullum which is doing fantastic work for its community with a very dedicated team of staff and volunteers. 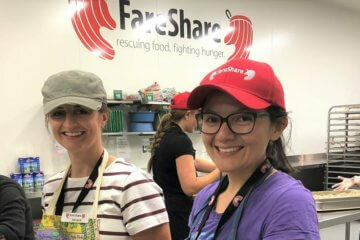 We are also delighted that a Feed Melbourne Appeal grant for two new freezers will help store FareShare’s nutritious cooked meals. Photo: Volunteer and Board member David Farrall at work in the Mullum Mullum Foodbank.